The Bachelor of Engineering with Honours in Systems Engineering (ElectroMechanical Systems), also known as SEEMS, is a multidisciplinary degree programme that brings together the fields of mechanical, electrical, electronic, and computer engineering with a holistic approach to system development. Systems engineering focuses on the design, development, implementation, and life-cycle management of complex interconnected systems. The SEEMS programme specifically focuses on the engineering of complex mechanical systems that are controlled by microprocessors and microcontrollers. Students of this programme will understand the larger context of hardware and software engineering, and will be able to solve complex problems through an integrated and multidisciplinary approach. 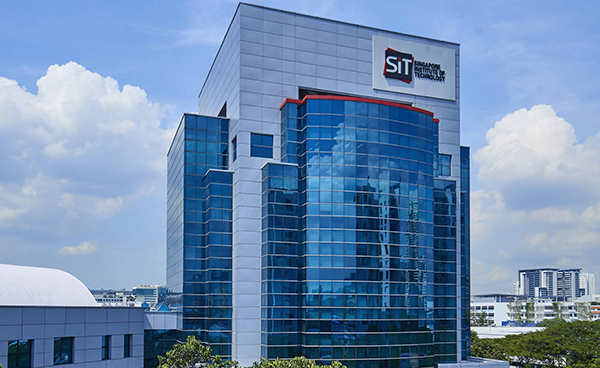 SEEMS is a joint degree programme offered by Singapore Institute of Technology and DigiPen Institute of Technology Singapore. 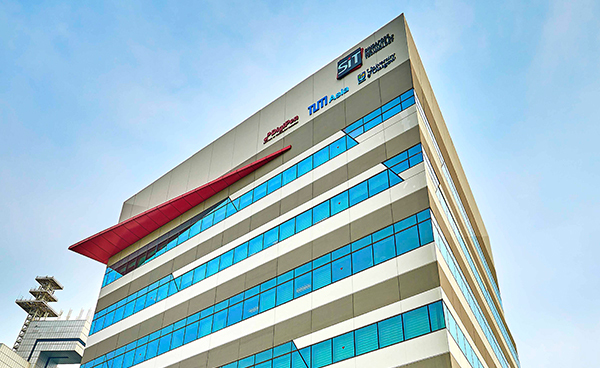 Vision: To be the leading programme in Systems Engineering in Singapore. Mission: To nurture individuals to excel at the multidisciplinary Systems Engineering challenges in the industry. Solve practical Systems Engineering problems through an integrated and multidisciplinary approach based on high ethical and professional standards using high-level engineering skills and knowledge. Exploit novel Systems Engineering concepts in managing today’s ever-changing engineered systems through change management and lifelong professional development. Create value through innovation and leadership in the industry by transforming life-cycle processes of complex and interconnected systems. Serve the community through effective communication, inter-personal and project management skills for partnership across disciplines to make improvements in the social, economic and environmental aspects. Traditional approaches to engineering education focus individually on the different sub-disciplines of mechanical, electrical, electronic or computer engineering. Systems engineering transcends these boundaries and looks at integrating systems from diverse disciplines to produce functionality not achieved by a single discipline. Systems engineering enables the development, analysis and management of multidisciplinary systems with a broad range of applications. Its methodologies address real-world complexities such as uncertainty, constraints, multiple objectives, and interactions among various parts or subsystems that constitute the whole. Trained systems engineers use sophisticated methods to develop and effectively manage engineered systems in today’s complex and interconnected world. Career opportunities in systems engineering are driven by increasing globalisation and technological advancements. As Singapore and the world continue to develop more interconnected devices and systems, the need for engineers with both component- and system-level knowledge will increase dramatically. SEEMS graduates will be uniquely prepared to address these increasingly complex system design and development tasks. Potential entry-level position titles for new SEEMS graduates include: Systems Engineer, Design Engineer, Quality Control Engineer, Project Engineer, Software Engineer, Software Analyst, Embedded Systems Engineer and ElectroMechanical Engineer. Graduates of this degree programme have the knowledge and skills to pursue careers in industries such as transport, marine, defence and precision engineering. Diploma holders from any of the five local polytechnics and A level / IB Diploma graduates are welcome to apply. The Overseas Immersion Programme (OIP) is mandatory for SEEMS students. Students will spend one trimester at DigiPen Institute of Technology’s U.S. campus, and attend lectures, labs, and industry seminars. Students will interact with American professors and mentors while experiencing life in a different culture. This course provides students with a detailed examination of the fundamental elements on which computers are based. Topics covered include number systems, representation of numbers in computation, basic electricity, electric circuits, digital systems, logic circuits, data representations, digital memory, computer architecture, and operating systems. Operational code and assembly languages are discussed, examined, and used in the context of a microcontroller environment such as an autonomous vehicle. The laboratory component of the course aims to demystify the behavior of a computer environment by providing a hands-on exploration of the topics discussed in class lectures. Students will design, create, and debug basic analog and digital circuits, write assembly code and process interrupts for a microcontroller that will implement intelligent behavior for an autonomous vehicle. This course introduces the calculus of functions of a single real variable. The main topics include limits, differentiation, and integration. Limits include the graphical and intuitive computation of limits, algebraic properties of limits, and continuity of functions. Differentiation topics include techniques of differentiation, optimization, and applications to graphing. Integration includes Riemann sums, the definite integral, anti-derivatives, and the Fundamental Theorem of Calculus. This module aims to introduce the use of computer-aided design (CAD) in the context of engineering design. Principles and methodologies of engineering design are briefly covered, and students will learn to visualize and sketch their design concepts in 3D. Communication of engineering designs through graphical representations, including orthographic and isometric drawings, as well as design annotations according to relevant standards are introduced. Principles of 3D modelling and component assembly in CAD systems are covered. Students will apply the principles through the use of a CAD software in creating 3D models, assembling components and drafting engineering drawings in project tasks. In addition, geometric modelling, computer-aided engineering and Design-for-X will be introduced as a background context of CAD. The proficiency of students in performing CAD tasks will be assessed through assignments and project tasks, while their knowledge learnt will be validated through quizzes. There is no final examination in this module; students will consistently learn, practice and perform assessment tasks throughout the module. This module aims to introduce various topics on the fabrication of engineering components. Material properties and product attributes are covered before introducing material removal processes. The programming of computer numerical control in machining is taught and applied in a project. Students will learn the processes of additive manufacturing and apply them in laboratory. 3D CAD models created by students in the SEM1401 CAD module will be printed the project. Assembly and joining methodologies such as mechanical fastening are covered. Students will apply the knowledge learnt in this module on a series of project tasks, in conjunction with the tasks of the SEM1401 module. Assessment will be through quizzes and team-based project tasks, including fabrication and assembly of a system. In presenting the C programming language, this course serves as a foundation for all high level programming courses and projects. It provides the fundamentals of programming, including control flows, such as statement grouping, decision-making, case selection procedure iteration, and termination test and basic data types, such as arrays, structures, and pointers. Additionally, it intensively discusses the lexical convention, syntax notation, and semantics of the C programming language. This course focuses on generating and discussing ideas for composition and engages in all stages of the writing process, with emphasis on the development and application of critical thinking skills. The primary focus of the course is developing the ability to construct, write, and revise argumentative/persuasive essays. Assignments may also include other types of writing, such as narrative, descriptive, and comparative essays. Course assignments include three written tasks and a presentation. Students are also assessed on class participation and general attitude (e.g. punctuality and attentiveness). This is the first in a series of projects in which students work in teams to research, design, implement and test a functional system that interacts with other systems and meets specified requirements. Students must document their processes and give presentations on their progresses. This course builds on the introduction to Calculus in SEM 1101. Topics in integration include applications of the integral in physics and geometry, and techniques of integration. The course also covers sequences and series of real numbers, power series and Taylor series, and calculus of transcendental functions. This course focuses on digital circuit design. Topics include combinational and sequential logic, logic families, state machines, timers, digital/analog conversion, memory devices, and microprocessor architecture. Integral to this course are hands-on laboratories where students design, build, and test many of the circuits presented in lecture. This course is a continuation of High-Level Programming I (CS 120)/C Programming (SEM 1501). It introduces the C++ language with particular emphasis on its object-oriented features. Topics covered include stylistic and usage differences between C and C++, namespaces, function and operator overloading, classes, inheritance, class and function templates, STL lists and vectors. This module consists of three parts: Systems Engineering, Systems Thinking and Software Engineering. Systems Engineering: A systemic multi-disciplinary approach based on Systems Engineering (SE) is used to realize complex engineered systems. Focus is on defining stakeholder needs and required functionality early in the development cycle, documenting requirements, proceeding with design synthesis and system validation while considering the complete problem of manufacturing, operations, performance, test, cost and schedule, training & support, as well as disposal. Different disciplines and specialty groups are integrated into a team effort to form a structured development process that proceeds from concept to production to operation. Both the business and the technical needs of all stakeholders are considered with the goal of providing a quality product that meets their needs. Systems Thinking is used to perform deep analysis of problems. The wider context surrounding a problem is examined closely to facilitate the creation of solutions with the greatest leverage and least unintended consequences. Techniques in Systems Thinking are used to solve complex engineering problems within Systems Engineering. Software Engineering: Software is fundamental to most engineered systems. Software often shapes the system structure; drives much of its complexity; strains its verification; and affects much of the cost and schedule of systems development. A disciplined approach employing industrial methodologies and notations is used to model software systems development from different perspectives. Students explore how their culture, gender, economic status, age and other personal characteristics influence their workplace communication. The course explores verbal and non-verbal communication skills in a global work environment. Students learn written communication techniques most effective for use in the technology workplace. Additionally, students explore and practice negotiation skills, both internally and externally at their workplace. This module is based on the practical application of Electro-Mechanical skills and knowledge. Students are required to apply what they have learnt so far to integrate Electrical, Electronics, Computation (EEC), and Mechanical (Mech.) systems to create a complete Electro-Mechanical system. This calculus-based course presents the fundamental principles of mechanics, including kinematics, Newtonian dynamics, work and energy, momentum, and rotational motion. As a continuation of Digital Electronics I, this course has an emphasis on programmable logic. Topics include advanced state machine design techniques and an introduction to hardware description languages (such as Verilog and VHDL). Lectures are reinforced with hands-on laboratory work involving complex programmable logic devices and field programmable gate arrays. Students are expected to complete a final project that utilizes programmable logic design. This module provides in-depth examination of theories, techniques, and issues in Project Management within a Systems Engineering context. Students will learn the concept and processes of project management, so that they can apply the knowledge into managing their current and future projects using scientific methodologies. The topics include the project management process groups, project integration management, project scope management, project stakeholder management, project time management, project cost management, project quality management, human resource management, communications management, procurement management and project risks management etc. Computer tools will be introduced to provide hands-on practical skills with the above topics. Students will apply the knowledge learnt in this module on a serials of case studies and project tasks. Assessment will be through quizzes and team-based project tasks. This is the second part of a 2-trimester project in which students work in teams to research, design, implement and test a functional system that interacts with other systems and meets specified requirements. Students must document their processes and give presentations on their progresses. This calculus-based course presents the fundamentals of fluid dynamics, oscillations, waves, geometric optics, and thermodynamics. This course covers analog circuits. Topics in the course usually include the following: passive components, series and parallel circuits, two-terminal networks, circuit reduction, impedance analysis, waveform measurement, operational amplifiers, passive and active filters, circuit step response, and circuit analysis using Laplace transforms. Integration of analog subsystems into digital circuits is emphasized. Additionally, students are expected to learn how their analog and digital circuit designs are affected by capacitive and inductive effects. This module aims to introduce the methodologies and applications of machinery design, from sensors and controls to mechanical power transmission. Based on design requirements, students will learn to design and specify various components of electromechanical systems. The proficiency of students will be assessed through project tasks, while their knowledge learnt will be validated through quizzes. This module introduces requirements engineering and system architecting in the context of systems engineering. The descriptors and processes of requirements engineering (RE) are introduced. Descriptors include the construct, attributes and characteristics of well-specified requirements. The processes of RE that are of iterative and recursive nature are discussed. Applicable information items are defined. A class test will ascertain the knowledge gained by the students. Students as requirements engineers are to perform a series of RE project tasks, and to present the outcomes of the tasks. Linked to the RE topics, this module also introduces the descriptions of system architectures (SA), including concerns, viewpoints and models. The processes of defining SA such as partitioning and allocation are covered. A class test will ascertain the knowledge gained, and students as system architects are to conduct the processes of defining a SA description, and present the outcomes of the tasks. The module equips student with the necessary career skills in starting and growing a career as an engineer. It prepares the students to apply for their first IWSP position. The first part of the course provides the students with the experience of going through the entire process of job search, from submitting their job application letter and resume, to attending a mock job interview session. The knowledge and skills, acquired by the students through this module and the IWSP, would form a valuable source for them to draw from as they look for their first full-time job upon graduation and as they plan their career. The second part educates the student on the responsibilities of an engineer in professional practice, and familiarizes the student with the rules and regulations regulating the practice of professional engineering. This course presents the mathematical foundations of linear algebra, which includes a review of basic matrix algebra and linear systems of equations as well as basics of linear transformations in Euclidean spaces, determinants, and the Gauss-Jordan Algorithm. The more substantial part of the course begins with abstract vector spaces and the study of linear independence and bases. Further topics may include orthogonality, change of basis, general theory of linear transformations, and eigenvalues and eigenvectors. Other topics may include applications to least-squares approximations and Fourier transforms, differential equations, and computer graphics. This course introduces the basic theory and applications of first and second-order linear differential equations. The class will emphasize specific techniques such as the solutions to exact and separable equations, power series solutions, special functions and the Laplace transform. Applications include RLC circuits and elementary dynamical systems, and the physics of the second order harmonic oscillator equation. This calculus-based course presents the basic concepts of electromagnetism, including electric fields, magnetic fields, electromagnetic forces, DC and AC circuits, and Maxwell's equations. This course covers topics needed to build the hardware and software for embedded devices. Core topics include microcontroller and microprocessor systems architecture, embedded system standards, and inter process communication protocols. Additional topics may include: performance measurement, peripherals and their interfaces, board buses, memory interfaces, other modern communication protocols, and system integration. This course builds on the foundation created in the first two High Level Programming courses [CS120/CS170]. Topics in the C/C++ programming language are presented in greater detail. Such topics include advanced pointer manipulation, complex declarations, function pointers, mixing C and C++ code, class and function templates, operator overloading, efficiency, STL containers and generic algorithms. The IWSP is an integral part of applied learning as it provides an opportunity for students to integrate what they have learnt in the classroom to what is practiced in the real world, and vice-versa. The extended period of IWSP with students performing real work also provides an opportunity for companies to evaluate the suitability of students as potential employees. In effect, the IWSP is equivalent to the probation period. The student will also have many opportunities to immerse in the industry’s business and culture and decide if this is a good industry to work in. Besides producing practice-oriented graduates, IWSP will also be the platform through which students will be challenged during their work attachment stint to initiate innovative projects under the guidance of SIT’s IWSP Supervisors and Company appointed Work Supervisors. Through such projects, students will have the opportunity to develop innovative solutions for the projects they have identified. In this way, the IWSP will be a key platform that contributes to the inculcation of the SIT-DNA in every student. This module aims to introduce the societal, ethical and environmental aspects relevant to professional engineering practices. This is an e-learning module that consist of online materials (presentations and videos), quizzes and a project. During the course, students are to apply the contents learnt under the three aspects – social, ethics and environment – in the quizzes and project. This course is an introduction to basic probability and statistics. Basic topics from probability theory include sample spaces, random variables, continuous and discrete probability density functions, mean and variance, expectation, and conditional probability. Basic topics from statistics include binomial, Poisson, chi-square, and normal distributions; confidence intervals; and the Central Limit Theorem. This module looks at the formal application of modeling to support Systems Engineering life cycle processes and activities. Modules are used to capture, analyse, share, and manage the information associated with system development. Leveraging an MBSE approach to SE is intended to result in significant improvements in system requirements, architecture, and design quality; lower the risk and cost of system development by surfacing issues early in the system definition; enhance productivity through reuse of system artefact’s; and improve communications among the system development team.